YARA will reduce diesel-powered truck haulage by 40,000 journeys a year. 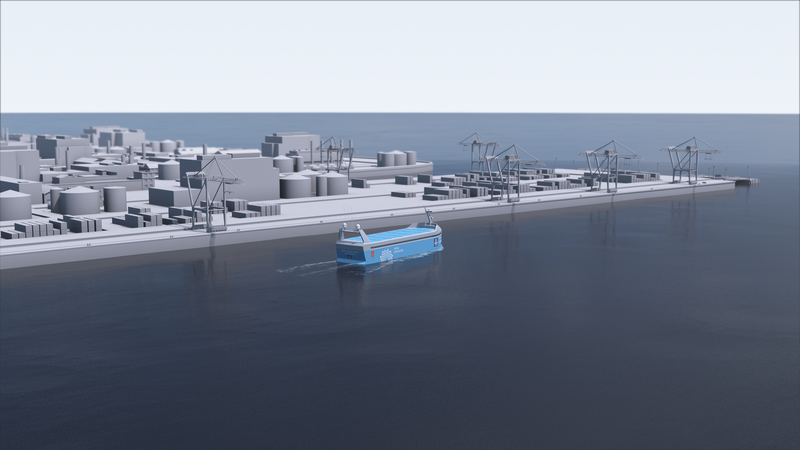 KONGSBERG will integrate sensor, control, communication and electrical systems. 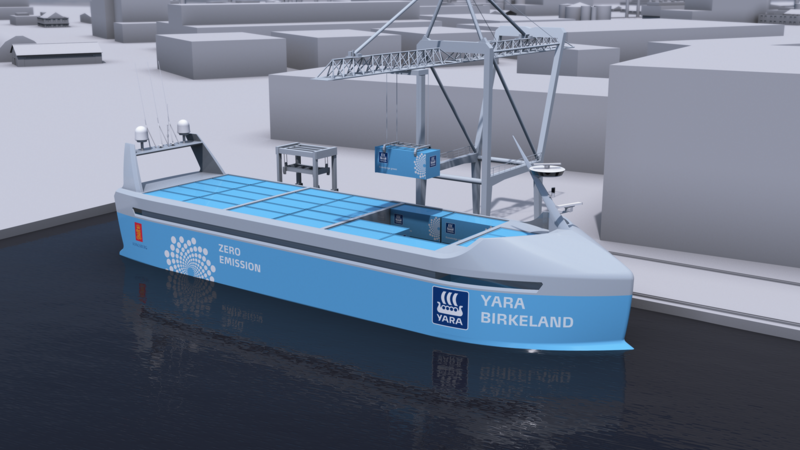 Autonomous and 100% electric, "YARA Birkeland" will be the world's most advanced container feeder ship. Its fertilizers, crop nutrition programs and technologies increase yields, improve product quality and reduce the environmental impact of agricultural practices. Its industrial and environmental solutions improve air quality by reducing emissions from industry and transportation, and serve as key ingredients in the production of a wide range of goods. YARA fosters a culture that promotes the safety of employees, contractors and societies. Founded in 1905 to solve emerging famine in Europe, today, Yara has a worldwide presence, with close to 15,000 employees and sales to about 160 countries. KONGSBERG (OSE-ticker: KOG) is an international, knowledge-based group delivering high technology systems and solutions to clients within the merchant marine, offshore, oil and gas industry, defence and aerospace. KONGSBERG has 7 200 employees located in more than 25 countries and total revenues of NOK 15.8 billion in 2016. Follow us on Twitter: @kongsbergasa.